We live in an age where medical science has extended lifespans to unheard of lengths. Many diseases that were death sentences in the past are now curable. Many sick people can get healthy with the right medical treatment. However, we had to come a long way to get where we are, and not all medical companies were on the up and up. While some of these companies have been forgotten, others have been remembered in various different ways. Bristol-Myers Squibb was formed by Edward Squibb, when he founded a pharmaceutical company in Brooklyn, New York in 1858. 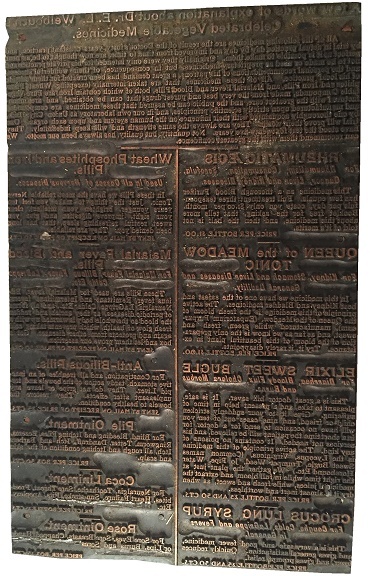 Squibb was in favor of higher quality, and was a supplier to the Union Army in the Civil War. In 1887, two friends, William Bristol and John Myers purchased the Clinton Pharmaceutical company of Clinton, New York for $5000($124,600.93 in 2017 dollars). 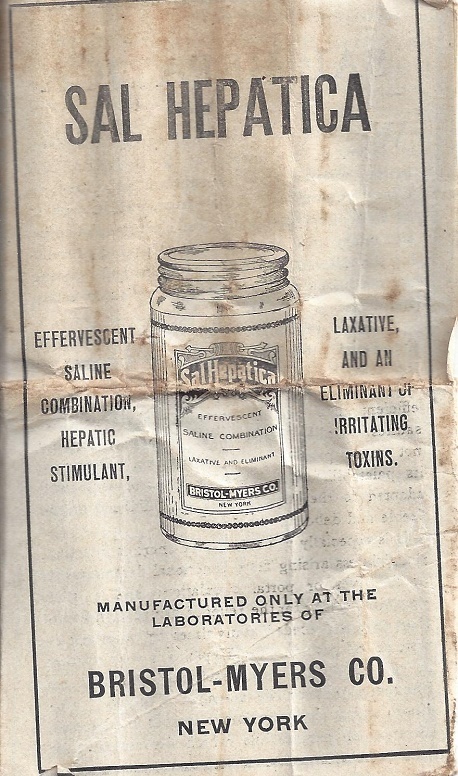 Bristol and Myers first national product was named Sal Hepatica, a laxative mineral salt that, when dissolved in water, reproduced the taste and effects of the natural mineral waters of Bohemia. 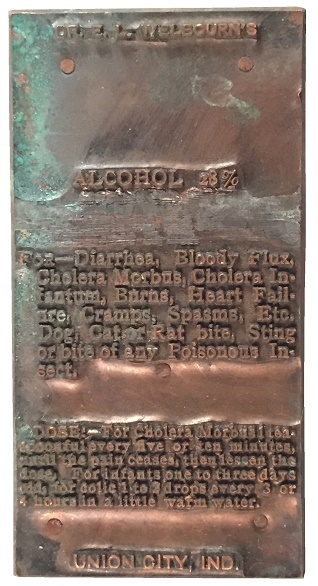 The new product, was a bestseller by 1903. As time went on, both companies grew, both in size and in wares. Both companies acquired several smaller companies. 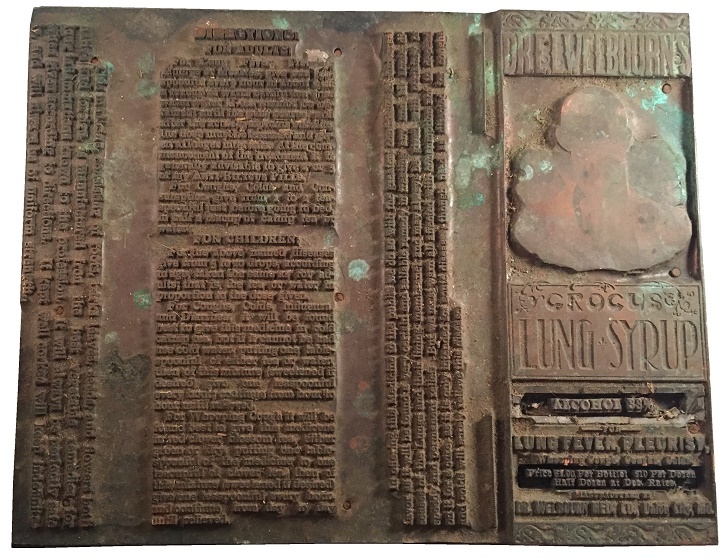 Then, in 1989, Bristol-Myers and Squibb merged, with Bristol-Myers becoming the nominal survivor. The company renamed itself Bristol-Myers Squbb. Those two little companies founded in New York have become one of the biggest pharmaceutical companies in the world. 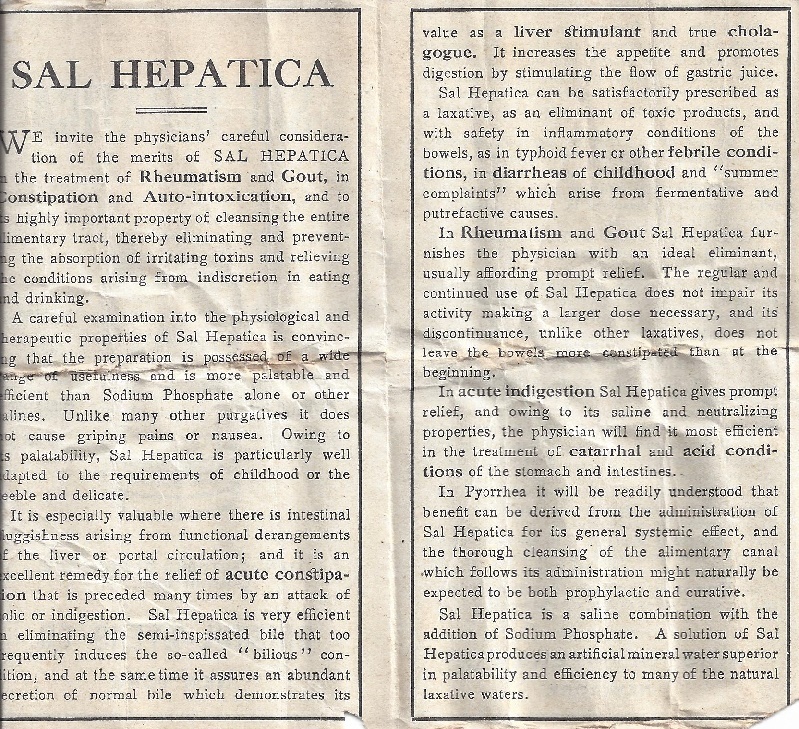 Sal Hepatica was first made in 1887, became nationally recognized in 1903, and was discontinued in 1958. 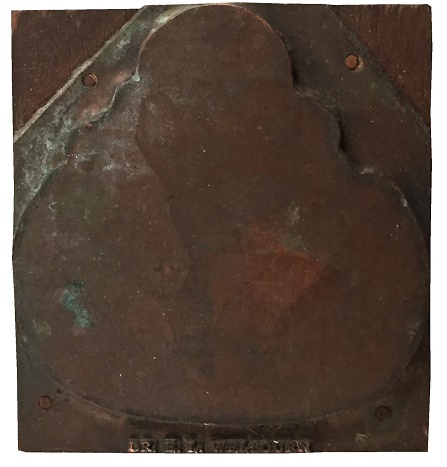 The product consisted of sodium sulfate, baking soda, tartaric acid, common salt, sodium phosphate and traces of lithium carbonate and water. 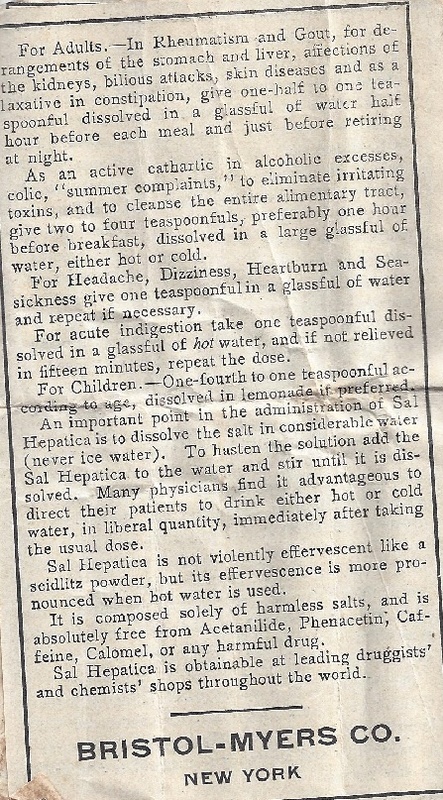 Supposedly, it was meant to replicate the taste and effect of “Bohemian mineral water.” It was originally marketed as a saline laxative, and an alkalinizing agent. 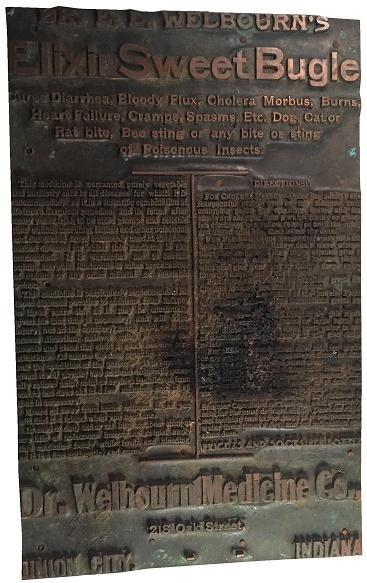 It was also claimed it could help with gout, and other stomach, liver, and kidney disorders. 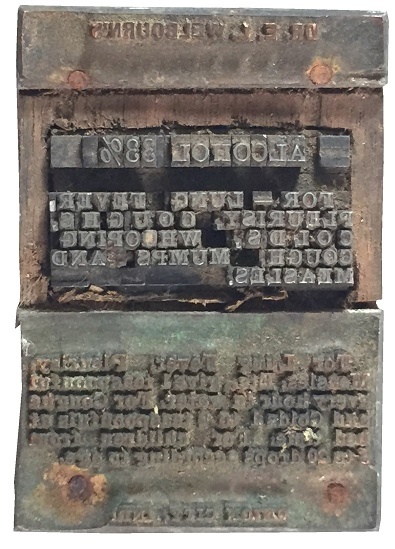 This is an early example of a sample set. 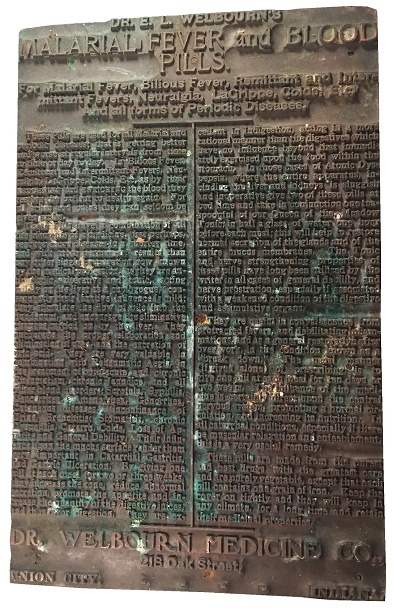 It was given to doctors to give to patients. 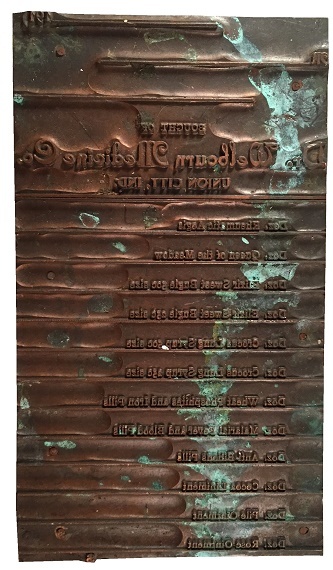 It is still in good condition, and comes in an 6.5 inch by 2.5 inch tube. 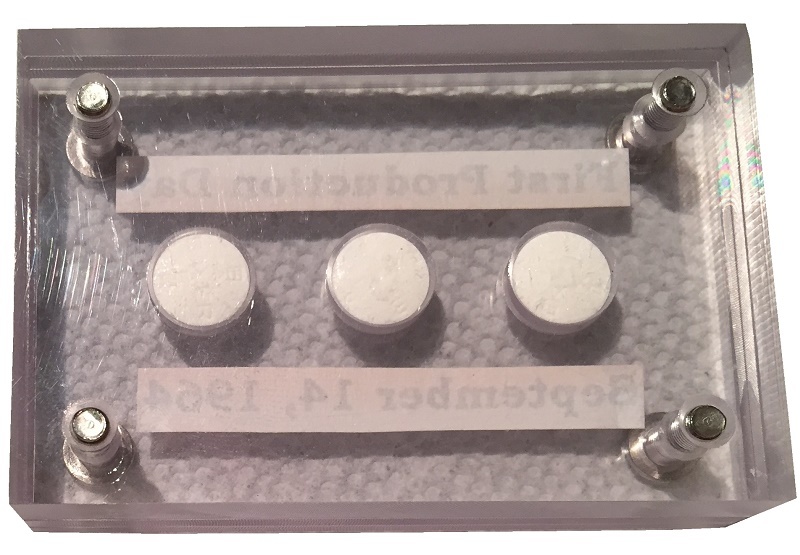 The set consists of a big container and five smaller containers of Sal Hepatica. 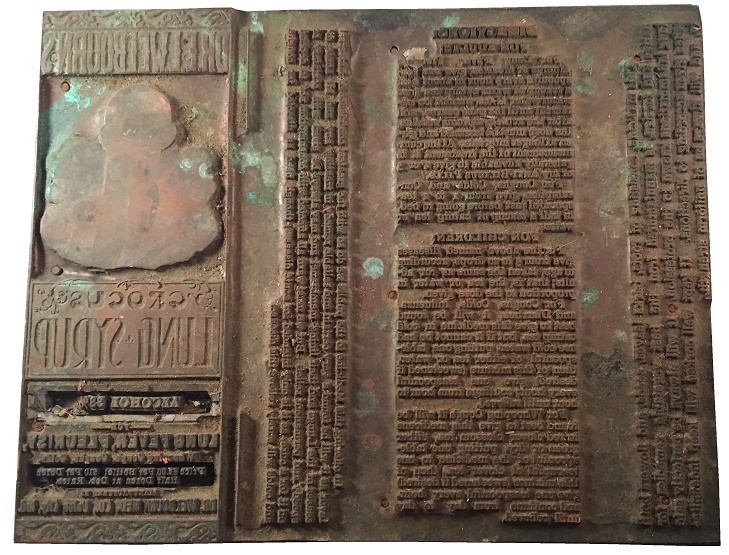 There is also an information manual. The larger container of Sal Hepatica is roughly 1.5 times the size of the smaller containers. 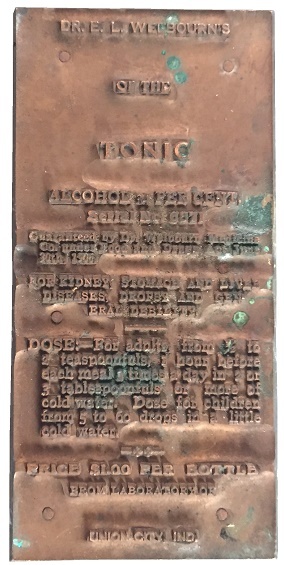 The label also contain more information, and it appears as though it was meant for the doctor to hold on to. 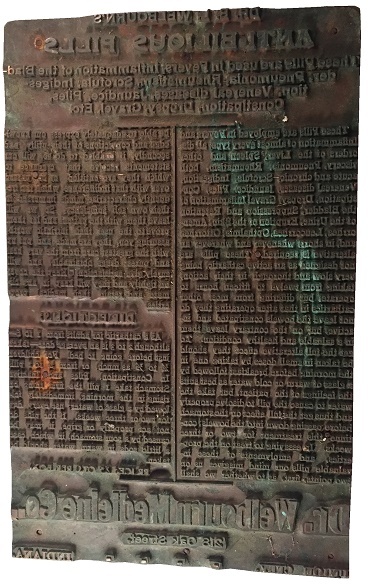 It’s about 3 inches high by 1.5 inches across. The package comes with an information manual, containing information that doctors could use to help their patients. For many years, medical companies in the United States went unregulated. There were dozens of small, local drug companies across the country. Some were more unscrupulous than others. 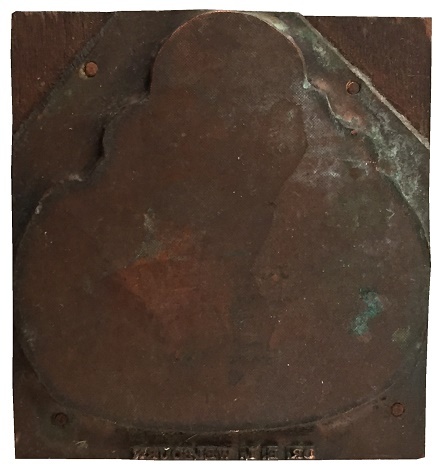 One such company was the Dr. E. L. Welbourn Company of Union, Indiana. 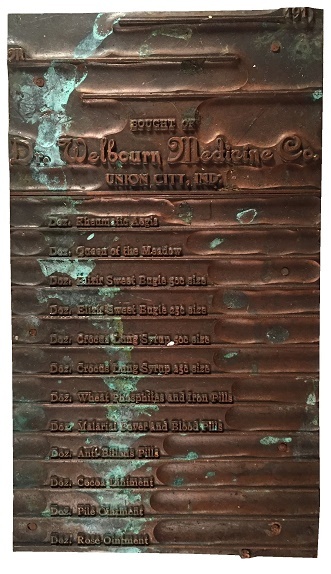 Dr. E. L. Welbourn graduated college in 1866, and started his practice in 1893. 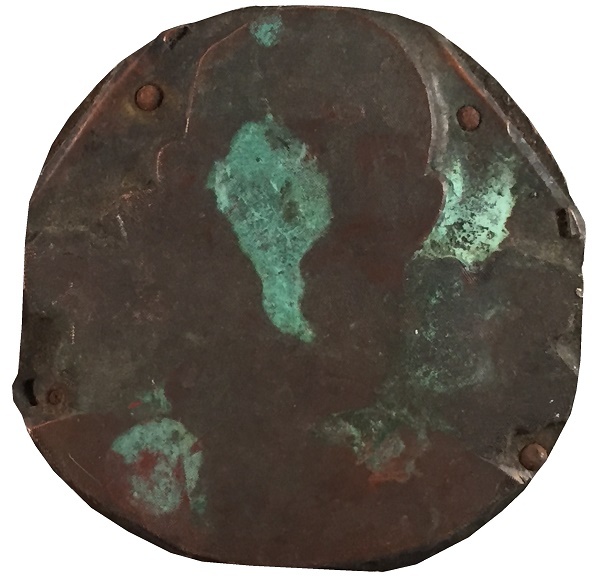 He experimented with vegetable mixtures to cure aliments. In 1900, he started his own drug company. 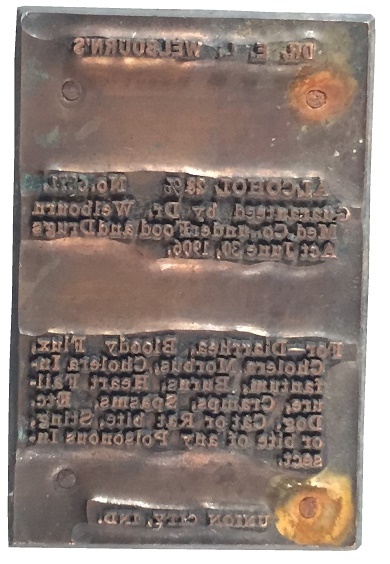 Welbourn continued the company until his death in 1926, and his son continued the company until 1973. 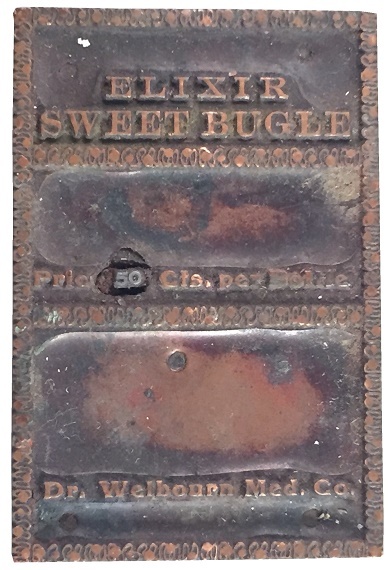 Another Sweet Bugle printing plate, this one is much larger, and has a lot more information than the smaller ones. 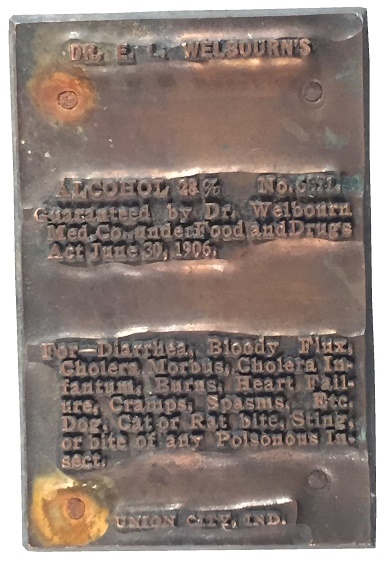 Dr. EL Welbourn also produced pills in addition to tonics. 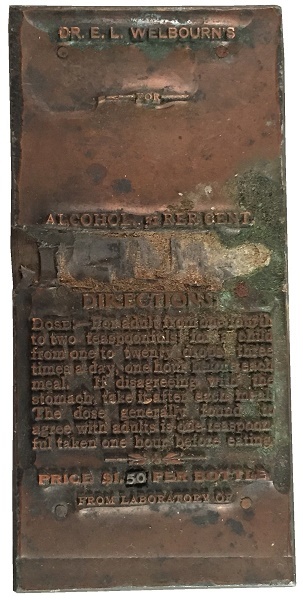 These were his “Anti-Bilious Pills,” which were used to treat “Liver and stomach troubles, and were “Warranted Purely Vegetable.” This is for an advertising brochure that was used to promote the product. 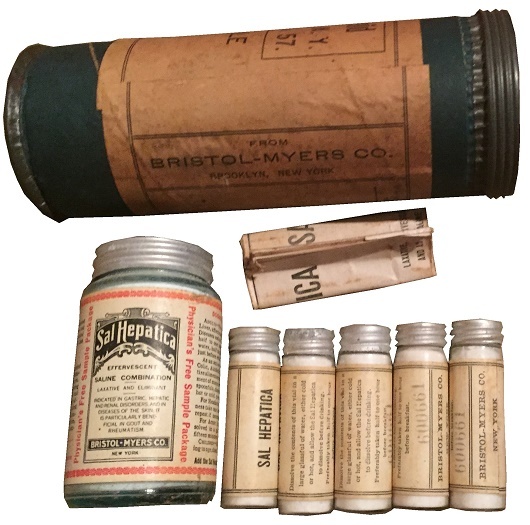 The Dr. E. L. Welbourn company also produced ointments, such as Dr. E. L. Welbourn’s Pile Ointment, used to treat “piles,” commonly known as hemorrhoids, and Ringworm, Tetter, and Trysipelas. 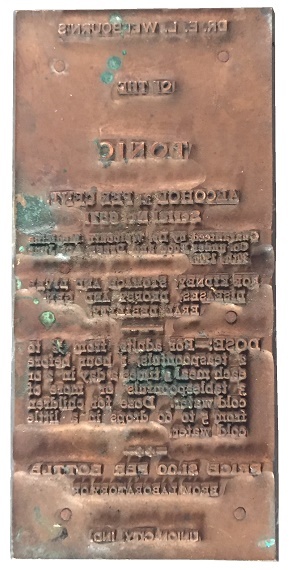 This is a printing plate for a receipt from the Dr. E. L. Welbourn Medicine Company, which has all of their wares listed, and spaces for numbers and prices. 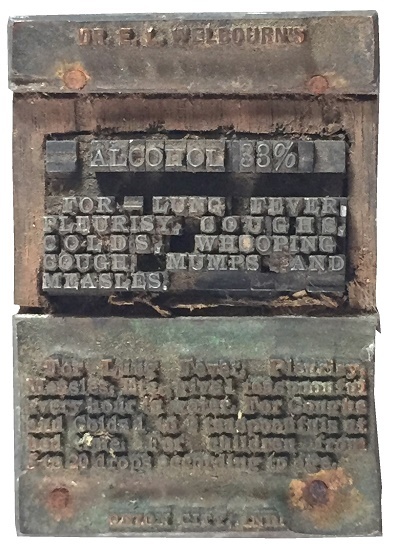 This is a printing plate for a label or a box of Dr E. L. Welbourn’s Lung Syrup, which treats “Lung Fever, Pleurisy, Whooping Cough, Coughs, and Colds.” It has 33% ABV or 66 proof. 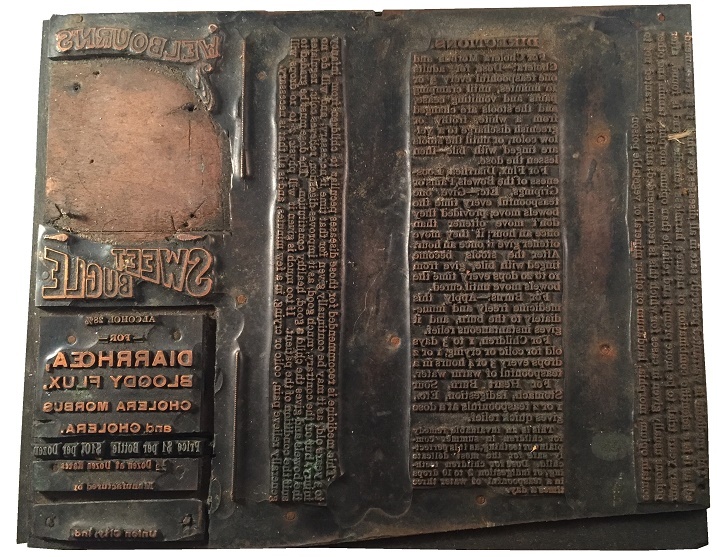 This is a printing plate for either a newspaper ad or a handbill for Dr E. L. Welbourn’s Malarial Fever and Blood Pills. 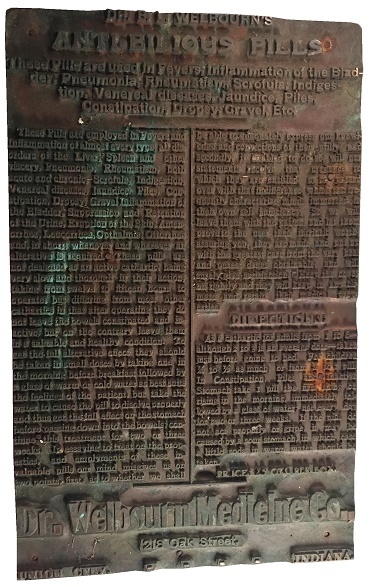 It is large, and has a lot of text about what the pills treat, and why you should buy them. 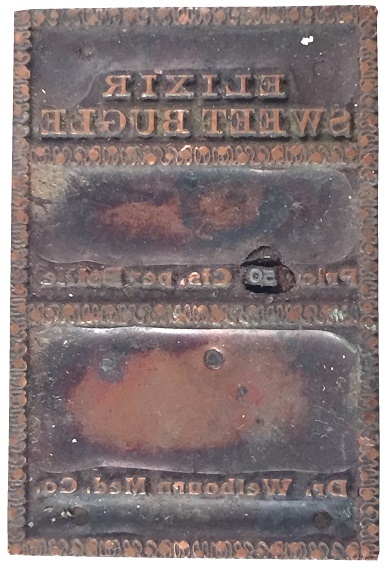 Similar to the previous plate, this is an advertising plate for Dr. E. L. Welbourn’s Anti-Bilious Pills. 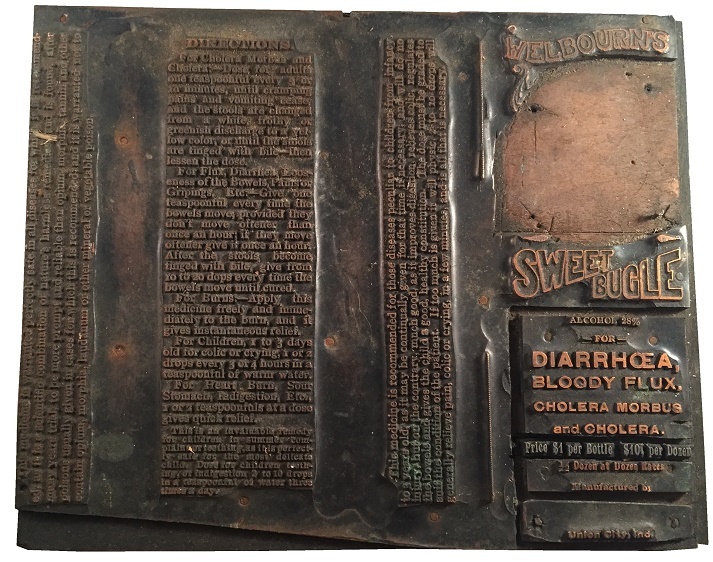 Yet another advertising printing plate, this one for “Elixir Sweet Bugle.” The last advertising printing plate lists the names and information for all of the products of the Dr. E. L. Welbourn company. 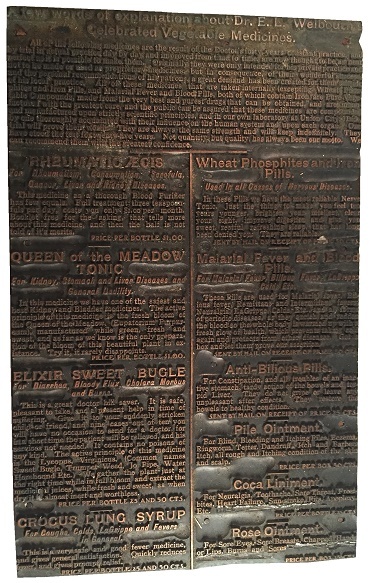 The last printing plate is a full box printing plate for bottles of Queen of the Meadow Tonic, which is the largest of the plates, and contains a lot of information about the product. 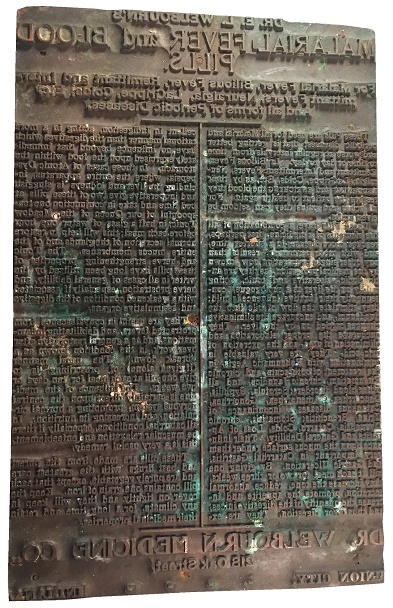 Since the days where Dr. Welbourn was making tonics and pills that could cure anything, we now live in an age where medical science is taken much more seriously, and standards are much higher. One of the most prolific companies is Bayer AG. 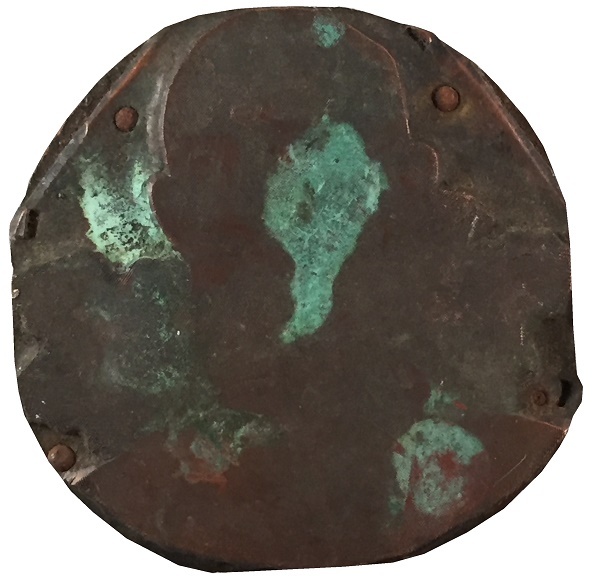 Though they will be forever known for selling medicinal heroin, they are also a major seller of aspirin, at one point, holding the trade mark on the word aspirin, until the seizure of German assets by the Allies in World War I. While Bayer Aspirin was sold in the US, it was actually made by Sterling Drugs, which acquired the license to sell aspirin in 1918. 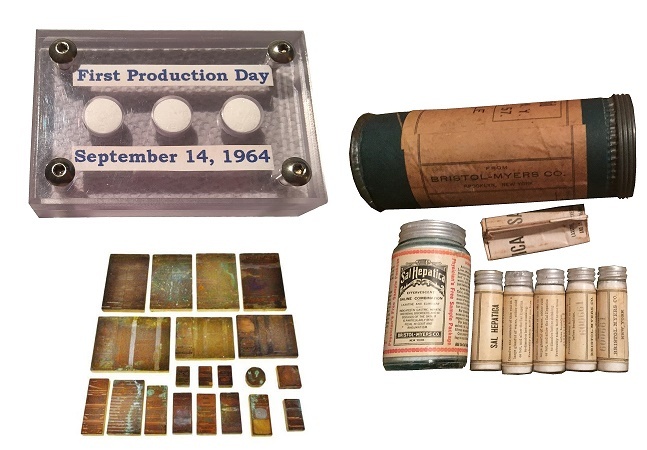 They manufactured and sold Bayer Aspirin from 1918 until 1994, when Eastman Kodak bought the company. Bayer would purchase back the rights for Bayer Aspirin in the US later that year. There are a lot of Bayer factories in Pennsylvania, and this is from one factory. 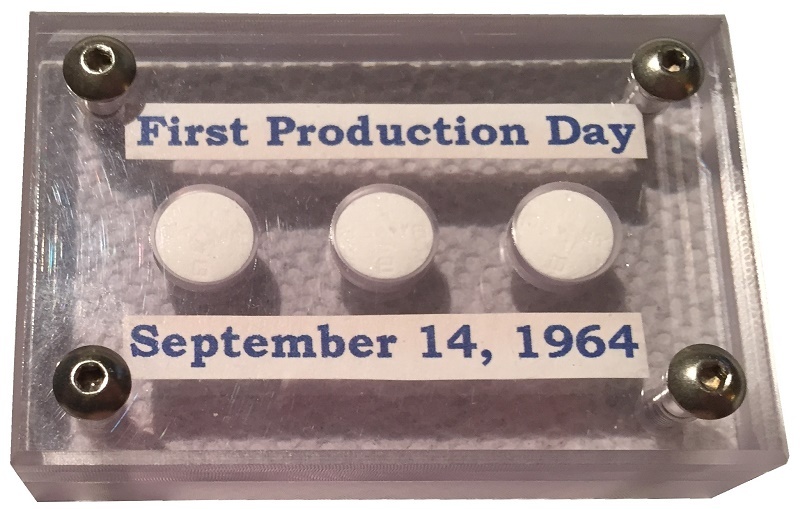 It is a small display featuring some of the first pills that factory made, on September 14, 1964. 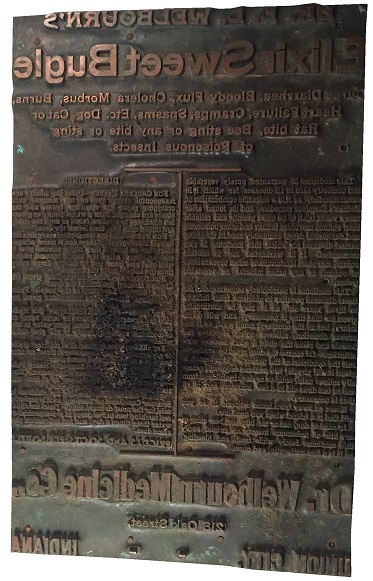 They are in a small case, with a printed label indicating that. As a people, we are healthier. We have medical science to thank for that. Can we cure everything? No, but we can cure a lot of things that were once death sentences. Next week, the topic of swatch cards!